Uruguay has the longest democratic history of any Latin American country and became in time a welfare state despite two institutional breakdowns in the 20th century [1933-1938 and 1973-1985]. Corruption is low. There has been an anti-corruption agency (JUTEP) since 1999, which is increasingly performing an important role in the fight against corruption. Watch the charts here. Drug consumption is legal and is decriminalized in Uruguay. As of April 26, 2011, Cannabis is even legal to grow in small amounts for home consumption. Possession up to 5 grams of marijuana is legal but up to 25 grams is considered for personal use and is overlooked. The current law prohibits traffic, distribution and production. The state takes a public health approach in regards to the population of users for instance voluntary rehabilitation services and offering free health care services at public events like rock concerts where drug consumption is likely to occur. 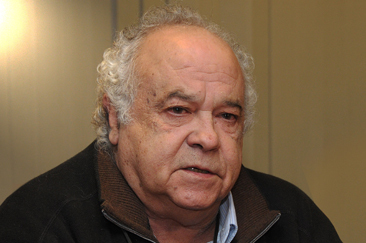 Uruguay's drug policy is based on epidemiological evidence regarding demonstrable public harm. Government efforts to reduce drug consumption over the past decade was aimed at tobacco, alcohol and coca-paste (crack cocaine). So far countries in South America make no distinction between cultivation of industrial and psychoactive hemp. Uruguay has authorized an experimental cultivation of industrial hemp that took place in October 2010. The experiment was officially to examine the productive capacities of the country and how the plants varieties respond to Uruguayan soil. Apparently the experiment served another "secret" goal as well. Creation of legal devices specialized in drug dealing. Regulated and controlled legalization of marijuana, with a strong role by the state on production. Also promotion of this issue in international fora as a way to combat drug trafficking and consumption. The proposal asks for a strong involvement of the media to report on progress of social values/harmony and to find a new balance regarding the reporting of crime and violence. The announced measures to legalize state-controlled sales of marijuana in order to fight drug-related crimes were picked up quickly by the International media, unfortunately the context of the proposal was often left out. Uruguay has one of South America’s lowest crime rates, but violence is rising, since traffickers increasingly use the country to transship drugs to Africa and then Europe. The Uruguayan government made several statements in the press regarding the proposal to legalize marijuana. It stated that they will ask global leaders also to legalize state-controlled sales of marijuana. 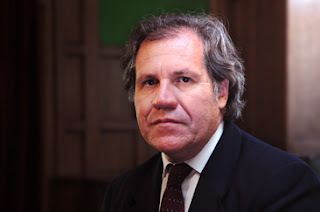 The defense minister, Eleuterio Fernandez Huidobro and Foreign Minister Luis Almagro said the sale of marijuana is "a foreign policy of Uruguay" and they did not rule out that production could be outsourced in the future. Huidobro also said "We must take steps not to affect neighboring countries" and stated that the marijuana black market involves sales of US$ 75 million a year, covering a range of between 120,000 and 150,000 Uruguayan consumers. Another US$ 22,5 million should be added for export and laundering. On July 5th president José Mujica already gave an interview on the Colombian Radio station RCN. The government disagrees with the outsourced controlled cultivation at least until it is internationally legalized widely. The State will be in charge of selling certified and taxed marijuana. Consumers have to register and their records will be kept to prevent addictive behaviors. The bill on legalizing marijuana will probably be forwarded to the National Assembly in 10-15 days, said diputado Aníbal Pereyra (MPP) on 4th July. 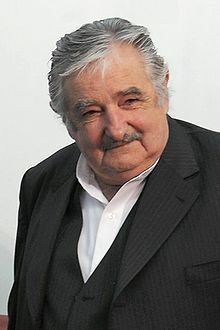 President José Mujica's party MPP is part of a left-wing coalition of 7 political parties. This coalition (FA) has a small majority in both chambers of the National Assembly. Uruguay signed the "United Nations Convention Against Illicit Traffic In Narcotic Drugs And Psychotropic Substances, 1988" on 19 Dec 1989 and ratified without any objections or notifications on 10 Mar 1995. The Uruguay proposal clearly violates article 3(2), 14(1) and 14(2) of the treaty. However full legalization of marijuana may be considered allowed according to article 14(4). So this could become an interesting International legal issue. And there is treaty "UN Single Convention On Narcotic Drugs, 1961" articles 4 and 36 which the Uruguayan government would violate as well. Both treaties have a compromissory clause, providing for dispute resolution by the International Court of Justice. If Uruguay chooses to "just" violate these treaties then any of the other 183 member parties who signed the treaty, could object (and the US probably will very quickly) and file a contentious case at the International Court of Justice in The Hague, the Netherlands for a binding ruling. However, the ICJ has jurisdiction only on the basis of consent and Uruguay may refuse to participate in such a case and/or to comply with a judgment. If it chooses to do so, it will most certainly harm its International relations. Both treaties offer the possibility for any state-party to amend, but this will take considerable time to succeed and the initiating state-party needs enough support of other state-parties to carry such an amendment. Uruguay might choose for the same route as Bolivia did in 2011 to abolish coca leaf chewing in the SCOND 1961 treaty. The Bolivians first amended article 49, which received 18 objections (the US was the first country to object and surprisingly of all LatAm countries only Mexico did) and therefore the adoption of the amendment was blocked. Then the Bolivians decided to withdraw from the convention and re-access with a reservation for coca leaf chewing, using the article 50 procedure. Only, when at least one third of the 184 member parties object to the coca leaf reservation, Bolivia's re-accession to the treaty will be invalid. The only other option left is full denunciation of the treaties, which would then take effect the year following its submission. Legally, this is open to Uruguay to do, but from a Geo-political perspective it would only make sense if most of Latin-America joins. April’s 2012 Summit of the Americas in Cartagena Colombia, where host President Juan Manuel Santos and a number of other drug-war-weary Latin American leaders told the U.S. the same thing: that the traditional interdiction strategy Washington so obstinately defends no longer works and that it’s time to try new tactics, including marijuana legalization. Obama received this clear message, but it is too risky for him in this election year to even discuss it. At least in 2013 both Obama and Romney want to continue the WOD. 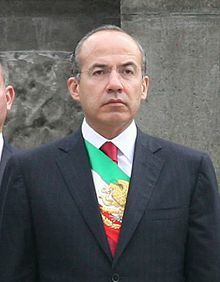 After the Casino massacre in Monterrey, August 2011, an angry President Felipe Calderón said that "if Americans were so determined and resigned to consume drugs, then they should seek 'market alternatives' in order to cancel the stratospheric profits or establish clear points of access. But this situation can’t go on!" Until then Caldéron used to be a strong ally of the US WOD, now his words showed doubt. While there are indications that Calderón's strategy against the drug cartels is having some small effect, he might realize by now that the domestic drug related violence and corruption can never be fully exterminated and has to be enforced continuously at high cost. Marijuana remains the constant commodity of choice for the Mexican drug cartels because of end user demand and the ease of production Marijuana accounts for more than half the revenues of Mexican cartels. Unfortunately Mexico can't take the lead in marijuana legalization because of its strong economic ties with the US. The US would see legalization in Mexico as a betrayal. Besides it will be ineffective for Mexico to fully legalize marijuana, when the US is not going along. Trafficking of illegally produced Mexican marijuana to the US would still continue. Before this clear Mexican statement many other Latin American leaders have spoken out their mind regarding the failing US War on Drugs and in the meantime already introduced decriminalization of marijuana in their own countries, to the dissatisfaction of the US. Another key-player in marijuana legalization is of course Colombia. Colombia’s marijuana is typically not sent to the United States, but feeds internal and Latin American consumption. It's not unthinkable that Colombia will follow Uruguay very soon. Colombia President Juan Manuel Santos said in November 2011 to the NYT "I might consider legalising cocaine if there is a World consensus because this drug has affected us most here in Colombia. I don't know what is more harmful, cocaine or marijuana. That's a health discussion. But again, only if there is a consensus." Santos' final aim is to legalize cocaine in Colombia, because it will reduce all kinds of violence. The Uruguay initiative is getting respect in Latin America. Uruguay is about the best choice to start full Marijuana legalization. It's small, stable, democratic and it doesn't export marijuana to the US. Bordering Latin American countries probably support Uruguay in this experiment and LA-countries may even adopt the experiment in time. That could be smaller LA-countries like Costa Rica or Guatemala or neighboring countries like Argentina.